Wait until you walk into this one! Sitting atop the red dramatic rocks of Roxborough, open the door and you are drawn to the views of Chatfield Reservoir, Downtown Denver, and beyond through the great room. This home boasts a main floor master with 5 piece ensuite bath and large walk-in closet. An open concept great room/kitchen has a gas fireplace with high ceilings, eat -in kitchen with stainless appliances, gas range, and ample cabinets. The garden level basement has plenty of windows and tall ceilings and the walkout leads to greenbelt. 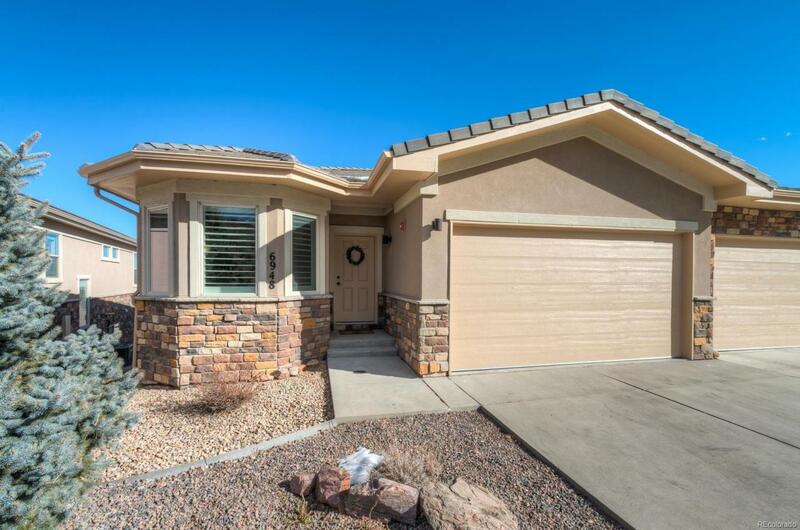 Carefree, low maintenance living with plenty of room for guests to visit and enjoy the trails, golf course, and wildlife that Roxborough provides.